Discussion in 'Online Casino Promotions' started by Ellis, Oct 10, 2014.
scatter symbol plus you could also win the Sweet Harvest Bonus for your chance to grab some sweet winnings! promotion where you have to click the enter button. 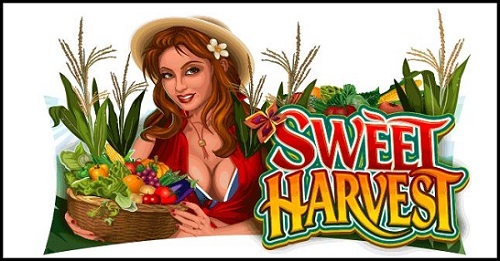 After that make a deposit of €20 and you will immediately receive 20 free spins on the Sweet Harvest Slot. Plus you also earn a ticket into a lucky draw for 1 of 3 gourmet hampers. Hurry, this offer expires on 12/10/2014, so take part now before time runs out! The winners of the lucky drawing will be notified on Monday October 13, 2014 by email. We wish you lots of luck at Royal Vegas Casino with this nice promotion and a wonderful winning weekend! Perfect time for year for this promotion. It's harvest time. 20 free spins could harvest you some nice winnings. Good luck to those that take up the offer. Good Luck if you are going to play at Royal Vegas Casino.